Turkish Airlines is the latest airline to partner with PressReader to bring passengers access to digital content. Passengers flying with Turkish Airlines have 48 hours of free access to PressReader’s catalog, starting 24 hours before their flight. They’ll also get access to PressReader in select Turkish Airlines lounges around the world when connected to lounge WiFi. When connected, passengers can choose from more than 7,000 titles from 120+ countries in 60 different languages. They can download as many publications as they’d like to read offline, and keep those issues saved for as long as they’d like. Clicking the link in the email Turkish Airlines sends 24 hours before departure. Entering flight details at pressreader.turkishairlines.com/ within 24 hours of takeoff. Connecting to the WiFi in one of the participating lounges. Currentlt thos are in Istanbul, Ankara, Izmir, Antalya, Washington, Moscow, and Nairobi. As the largest carrier in the world in terms of countries served, Turkish Airlines flies between 304 destinations in Europe, Asia, Africa, and the Americas. 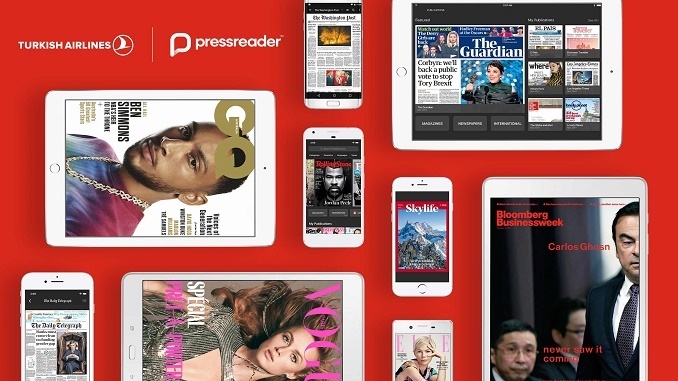 With PressReader, they’re able to connect the 75 million people who fly with them each year to the most diverse selection of premium titles from around the world – putting quality content in the hands of more readers than ever. 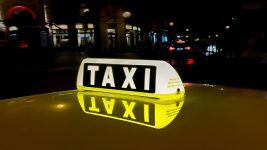 Passengers can choose from major newspapers like The Washington Post, The Guardian, and El Pais, and magazines like Bloomberg Businessweek, Elle, and Rolling Stone. “At Turkish Airlines we are dedicated to ensuring a premium journey and always seeking ways to enhance our passenger experience. “As we continue to connect cultures and bridge continents across our widening network, we are excited to offer the PressReader service, keeping our passengers connected to global news and information”. 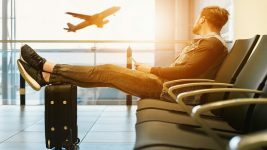 Turksih Airlines join other airlines like Air Canada, British Airways, Cathay Pacific, Iberia, and Virgin Australia, who’ve already added the digital newspaper and magazine platform as a customer perk. PressReader also works with global hotels, including AccorHotels, Marriott, and Scandic.